Many applicants know Minerva is their first choice and choose to take advantage of our Binding Enrollment option. As a Binding Enrollment applicant you will receive your notification within four weeks of completing the admissions process — significantly earlier than those applying without this option. In exchange, you must be committed to attending Minerva if you are admitted. You can select the Binding Enrollment option in the Admission Center, at any stage of the admissions process, during any admissions cycle. Selecting this option formally designates that Minerva is your top choice and, if admitted, you are prepared to pay your enrollment deposit within 10 days of receiving your admissions notification, and you agree to withdraw any applications to other institutions. Please note that Binding applicants must still adhere to the deadlines specific to the admissions cycle in which they apply. Though the likelihood of being admitted will not increase by selecting the Binding Enrollment option, an expedited notification allows you to make important decisions about your future, earlier. If admitted, you avoid the hassle and stress of applying to other schools; if not, you have plenty of time to refocus your search. 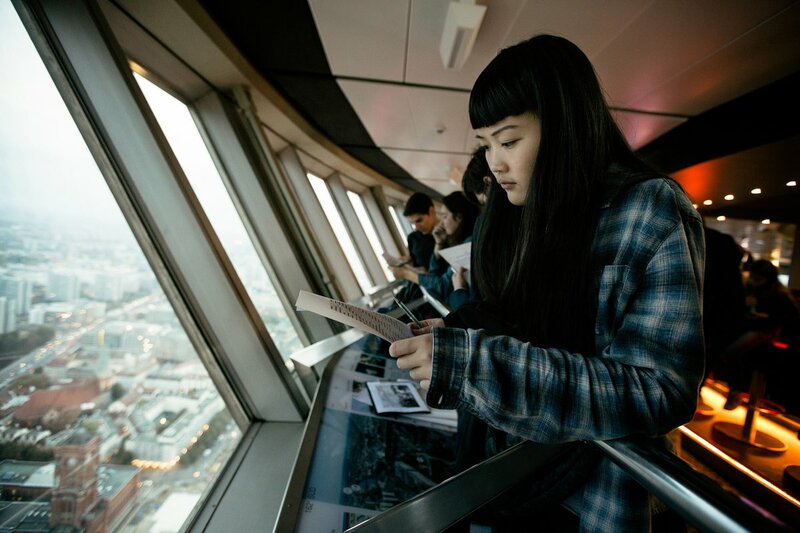 During an experiential learning event, Roujia Wen, China, Class of 2019, looks out on Berlin, from the Fernsehturm tower.